Bake Sale, Funky Finds, Plants, Decorative Note Cards, Specialty Food Items, Attic Treasures, Books, Games, Kids Corner And More! Please invite family, friends and neighbors! 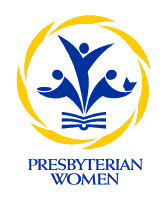 Presbyterian Women is an organization that is open to all Christian women. Our organization, with membership of over 75 members is comprised of five ‘circles’ who meet once each month from September through May. For the convenience of working women, one of the circles meet in the evening. In addition to monthly circle meetings, we also hold three annual group programs, offering fellowship and entertaining programs. Our larger gatherings include a fall potluck dinner, a Christmas celebration and end of the year gathering with the June installation of new officers. Presently, we are the largest organization in the New Castle Presbytery. As a member to this greater organization, we contribute to National outreach and mission projects. Our Fellowship of the Least Coin links prayer and ‘least coins’ of many other countries to support evangelism and relief throughout the world. Each month, the circles study and offer Christian fellowship to one another. New members report that through this membership, they truly experience Christ’s love in this small group. Through annual fundraising, we endeavor to offer generous financial support to our church and many community agencies. Presently, we hold an annual school drive for supplies for needy children in the greater Newark area. We also gather items for Prison Ministries, Newark Empowerment Center, Meals on Wheels and other agencies, like the Ronald McDonald House. We remain faithful to our purpose: Forgiven and freed by God in Jesus Christ and empowered by the Holy Spirit; we commit ourselves to nurture our faith through prayer and Bible study; to support the mission of the Church worldwide; to work for justice and peace; to build an inclusive, caring community of women that strengthens The Presbyterian Church (USA) and witness to the promise of God’s kingdom.